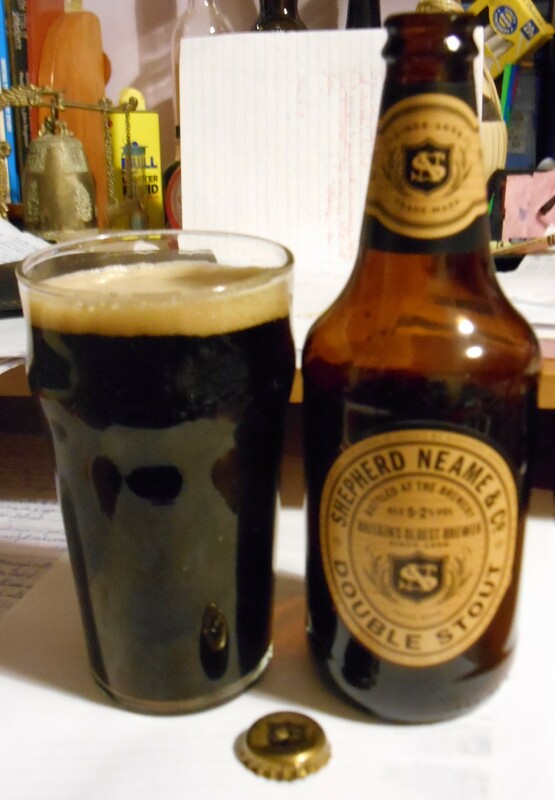 On a week where Shepherd Neame has just won some awards, I thought it about time to review some of their wares. We all know that Britain’s oldest brewery is a fantastic institution and one that has an immense quantity of different ales, the majority of which are certainly ‘good’, if not better. Well, a wee while ago, I started noticing this new-looking range of theirs. It seemed they were getting back to a sort of basics, naming the beers by their ‘type’, and I responded to this simplicity. Look It’s an old-style label. I wasn’t sure if it was a limited-edition range, a permanent fixture, or simply unique for the shop they were distributing to [turns out it’s part of their regular range…]. Bland, but sometimes simplicity is key – plus the ‘Shepherd Neame’ was in big letters, and that’s enough to make someone like I curious. Taste Ohaye, that’ll put a hair or two on your chest! Explosive flavours of rich chocolate and coffee literally stain the palate. The malt content gives it this flapjacky finish, and the mouthfeel is chewy like one too – definitely viscous, but not quite Ola Dubh! I can’t pick out a great deal of flavour from the hops, but the bitter tickle is surely present. So, to round-up: this is a great example of a stout. True, it’s a ‘double stout’, but what I mean is that when someone asks you what a stout’s like, you can give them this and it’ll give a decent benchmark as to what the traditional style is like. Very enjoyable and basically nothing to complain about. Hope you enjoy it too!